These are photos from Pretty Little Liars Season 5 Episode 20, "Pretty Isn't the Point." Aria asks Andrew to spy on Mike due to suspicious behavior. Andrew will help Aria get to the bottom of Mike's suspicious behavior regarding Mona. 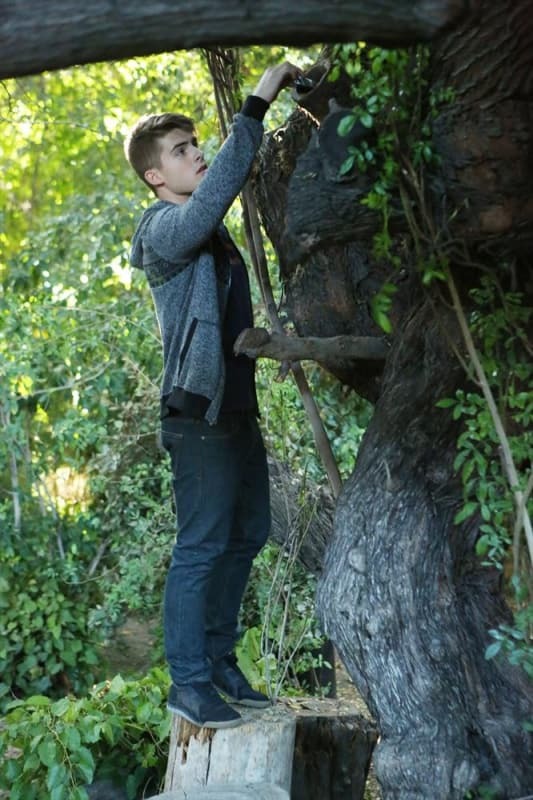 Mike's tears after Mona's death may have had a hidden meaning... like this tree. Aria is tracking down Mike's activities. Will she like what she sees? 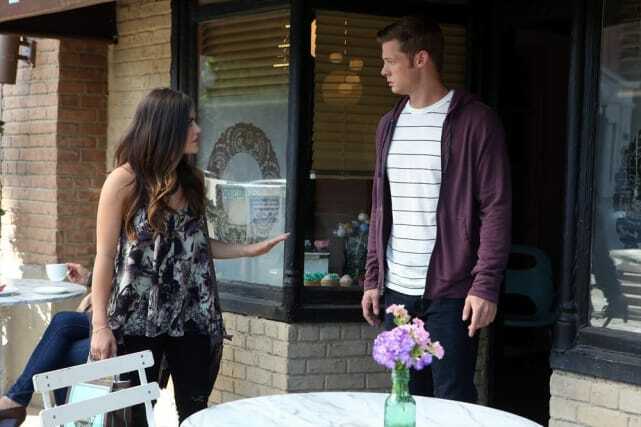 Aria confronts Mike at the tree. What the hell is there? Emily looking awfully schoolgirl in this PLL photo.